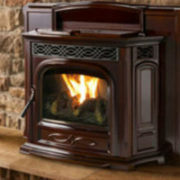 Fireplaces are generally thought of as something you use during the winter. During the cold months and winter holidays, families gather around their great big fireplaces to enjoy each other’s company and to stay cozy. 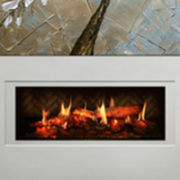 However, fireplaces can be enjoyed all throughout the year. During the spring and summer, a fire can serve as a centerpiece for all of your summer activities. 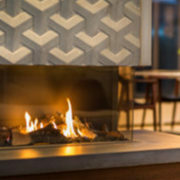 Especially an outdoor fireplace—which is a unique and enchanting amenity to have outside during the summer! 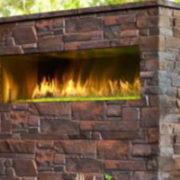 Get more use out of your backyard when you install an outdoor fireplace. You may be thinking of sprucing up your yard, and a fireplace is a great way to do this! Also, if your indoor space is not big enough, an outdoor fireplace offers a great alternative for more space and activity as you can decorate the area around your fireplace, thus making it the focal point of the yard. Summer nights become a little chilly, but we still want to enjoy the season. A fireplace is ideal for bringing a little toastiness to your backyard. Enjoy the warmth and ambiance of an outdoor centerpiece that is attractive and invites a welcoming feeling. Kick back and enjoy the atmosphere that an outdoor fireplace creates. This can also be done by adding a cozy sitting area around the fireplace area. 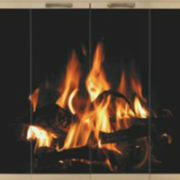 Friends and family can sit around a toasty fire and enjoy the company of each other. Whether you’re throwing a big soiree or just having a couple of friends over, a fireplace is a great addition to any event or occasion. For years down the road, moments around the fireplace will be something to treasure as you sit and chat, roast s’mores, watch the night stars, or have a couple of drinks. An outdoor fireplace installation will prove to be a great addition to your property this summer for several reasons including comfort, space, and sharing moments with friends and family. 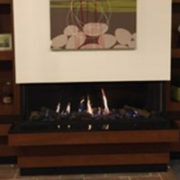 Rettinger Fireplace Systems proudly offers both fireplaces and custom cabinetry throughout South Jersey. 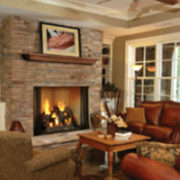 To learn more about the fireplaces we provide to customers in Cape May County and beyond, just browse our site!